Show how much you love your significant other in four different languages on our Personalized I Love You Photo Frame. Say I love you in English, Spanish, French and Italian. This personalized picture frame makes a great gift for Weddings, Sweetest Day, Valentine's Day or any special occasion.Our Engraved Love Picture Frame can be personalized with any couples names. Personalized Frame measures 12 3/4"x 10 3/4" and holds a 10" x 8" photo. Easel back allows for desk display or can be wall hung. Includes FREE Personalization! 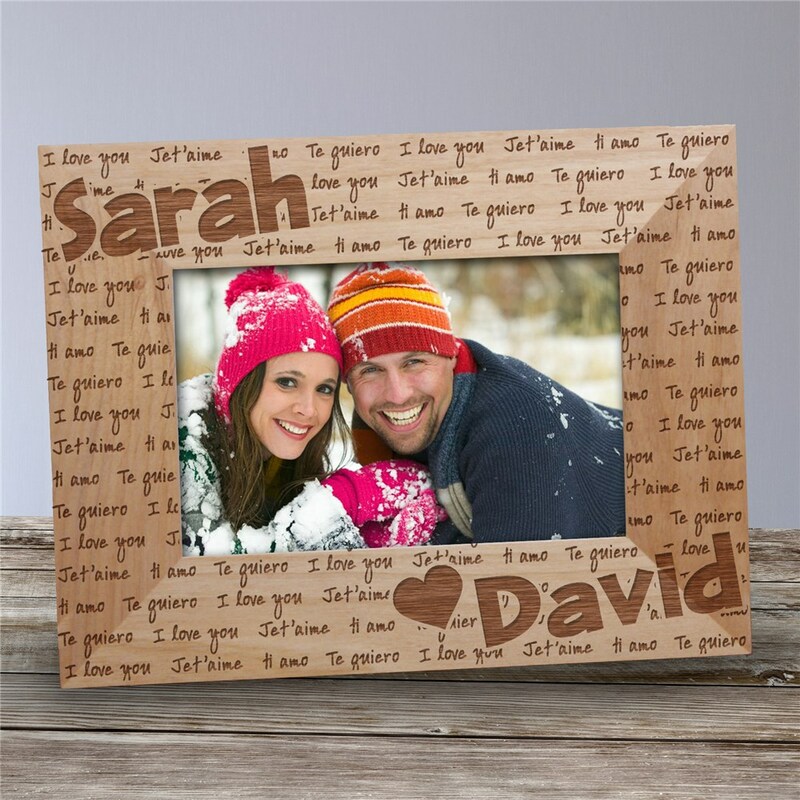 Our Engraved Picture Frames make great Personalized Valentine's Day Gift for Her or Him. Express your feelings of love with Personalized Gifts from GiftsForYouNow.com. Was exactly what I had pictured and came in unscratched and on time! Personalized Romantic Gifts make the finest romantic gifts for her on Valentine's Day. Looking for romantic gifts or Personalized Valentine's Day Gifts for your wife, girlfriend or significant other then look no further. We have a large collection of unique Valentine's Day gifts for your special loved one!